What anime are you watching now? · forums · community | osu! i recently re-watched Sword Art Online in anticipation for season 3, but other than that, No Game No Life. wait Toaru Majutsu no Index III. ATM Acchi Kocchi(Place to Place) and probably gonna watch Goblin Slayer sometime soon as im also reading the manga. I am literally watching back from Naruto series all over again for many times (This time it is my 4th time rewatching), btw Boruto is just messed my intrest tbh. oh well, I'm also watching bunnygirl and RTS rn so yeah. Also Takagi-san. Idk because Singapore only has 2 anime channels so we don't have everything, and sometimes they show older anime. Yes, Kotori Itsuka is my waifu, but I have Origami Tobiichi in my avatar. Don't judge me. 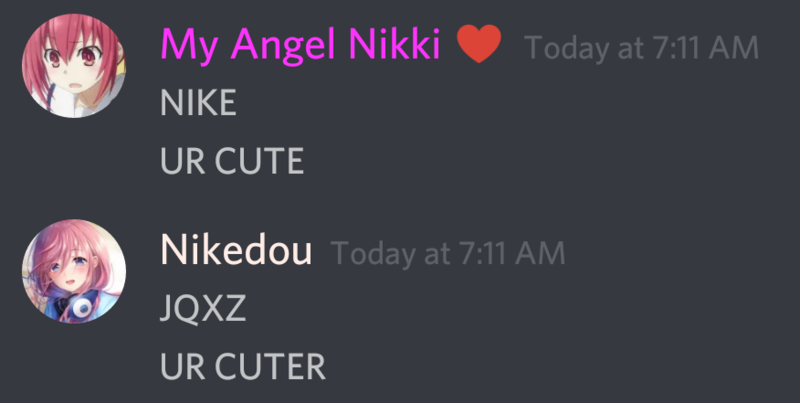 Nikedou is a big cutie owo, he even returns a cute response to me! I am currently watching Tokyo Ghoul.